Make bagels of course. lol I might make pretzels later but I need more flour. I used a tube from a clothes hanger, twisted wire and ran that through the tube, made loops and hung it from twiosock hangers. lol I'm amused. Just call me the White Trash McGuyver. Maybe I'll paint the sock hooks some obnoxious color. 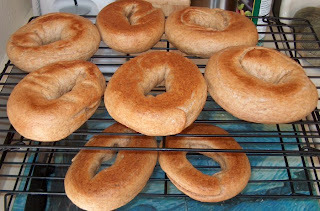 Nice bagels. Mr. Rain asked me the other day when I got so good at making bagels. Duh. That contraption needs some duct tape to finish it off just right. 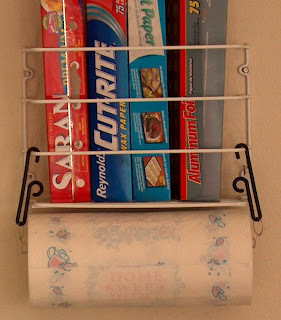 You should paint those sock holders in Fabulous Rainbow Stripes.